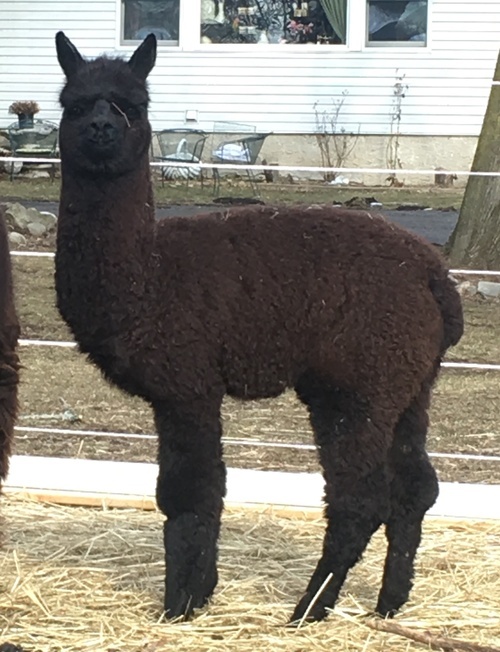 Luffy is a farm favorite that we purchased to add to our black breeding program. 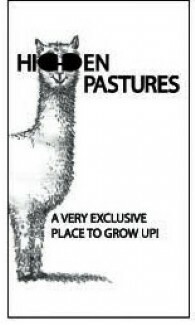 One of High Frequency's first crias. 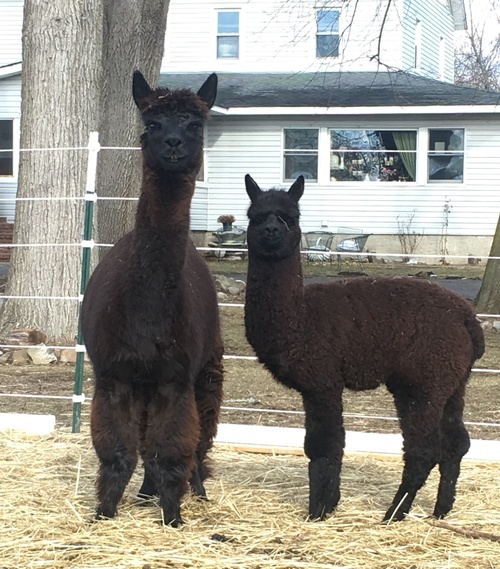 Latifa has produced both true black and dark silver grey crias so true black was not a surprise coming from her. 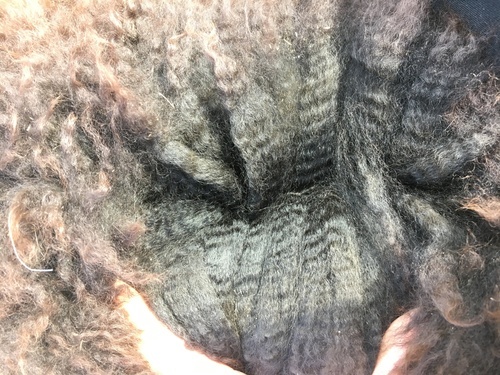 High Frequency as a Grey sire that produces mostly grey and black but has produced all colors and and dam that is medium fawn that has produced what she has been bred to. Harmony has very nice conformation and is exhibiting a lovely fleece.